About Us - Madison Decks Inc.
Madison Decks Inc. was formed by father and passed down to son. With generations of experience and the steady hands of a master artisan, we as Cincinnati based deck installers do not only claim to be the best for your job, but others do as well. Be sure to check out our references and testimonials, we let our past clients speak for us. We Love what we do and we wouldn’t have it any other way. We don’t come to work just to have another day – we make something of each day. We envision each day being able to do something for someone else in a way nobody else can. We deliver above and beyond; every time. Make sure to check out our gallery, because honestly; a picture is worth a thousand words. We have been in business since 1997 with over 50 combined years of experience. Our quality deck installation services are made for families by a family. When you call us, you won’t be talking to a salesperson in India, you will be talking directly with the owner of the business. When you purchase a deck installation, the owner will be on-site to ensure you receive the best installation possible. We use NO subcontractors! Not every deck installation company in Cincinnati can say that! We always use top of the line materials with every deck installation and the highest quality MCQ treated materials from McCabe Lumber. When we look at the new location for your deck, we look at many different factors to give you the end goal of having a beautiful, affordable and useful addition to your home. Be sure to look over our gallery of completed projects to perhaps inspire your own ideas of what we can do with you. Be sure that when you call Madison Decks Inc. that you will be getting professional service from the best deck installers in the Tri-State! Why not call us now? Every deck is unique, so every price should be different. 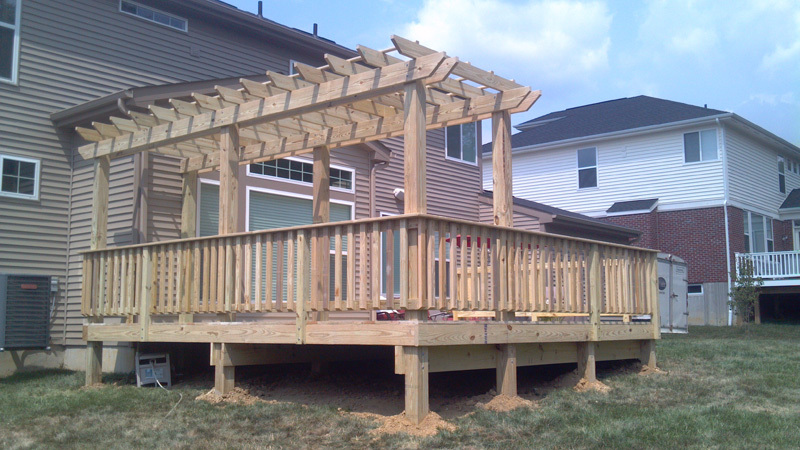 When we talk with you about your project, we will be giving you a custom price for your deck installation. We don’t make you pay for something you may not need or even want! We believe that a deck is a place of fellowship with friends and family for years upon years. When we build a deck, we are sure to use the highest quality materials to ensure that the deck will last for years upon years. We know that it takes time to be the best deck installers, and that is why it has taken us 50 years of combined experience to get to where we are today. Hard work, Passion and Happy clients is what keeps us going!